Description: Indulge in some rock candy with this all time favorite Amabel statement necklace. 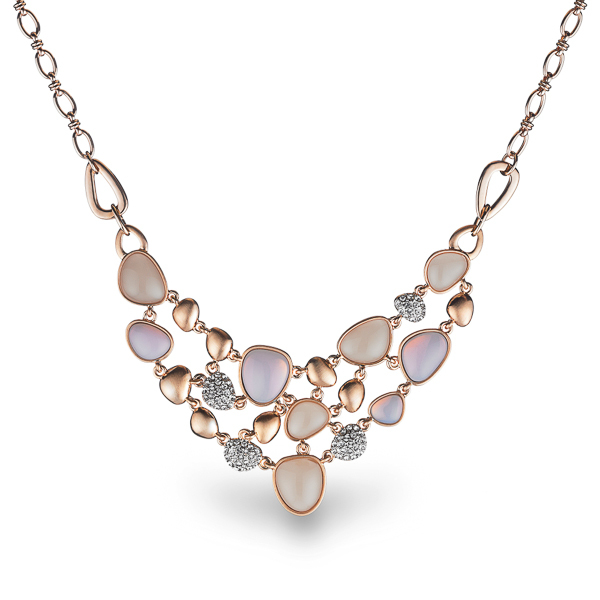 Boasting polished resin stones in neutral shades, glittering crystals and gleaming rose gold accents, this elegant bib necklace is sure to be the sugar on top for any sweet ensemble. Enter Quantity for N-AE003 to add to your shopping cart.